After premiering his upcoming collaboration with Nike in Fear of God’s 6th collection film back in September, there has been a lot of speculation surrounding Jerry Lorenzo’s first sneaker dubbed the Nike Air Fear Of God 1. While their were mixed reviews upon the initial viewing of the sneaker, I believe that the latest campaigns really show the vision that Jerry was aiming for with his first Nike sneaker. 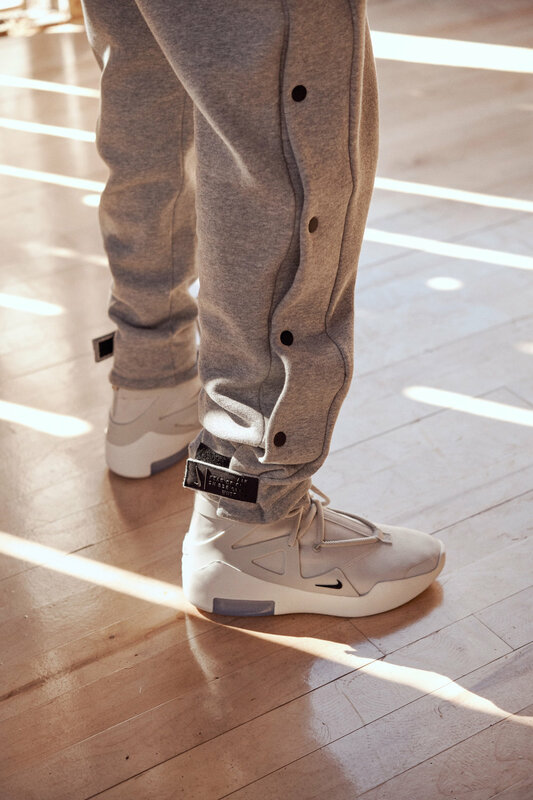 Taking on a similar shape to his Fear Of God military boot, the Nike Air Fear of God 1 has taken inspiration from Lorenzo’s love for the game of basketball. Mixing his military/grunge aesthetic with a performance based shoe that is capable of doubling as a shoe for style or athletics was the main purpose of this first sneaker, and I think it works really well. In the look book below, you will see that the entire Fear Of God x Nike range reflects Jerry’s eye for style mixed with Nike’s functionality in a basketball sense. The Nike Air Fear Of God 1 is slated to release December 15th with a retail price of $350. For more on the collaborative sneakers be sure to check out his exclusive interview with Complex here.